All of the building blocks you need to start the “Get Fit. Don’t Quit!” program are right here. Videos, infographics, nutrition tips and motivational interviews to inspire you and jumpstart your plan. Let’s dig in! Pam talks about the value of hard work she learned from her parents. Get the proper form for doing bicep curls. Relieve stress and tension with this easy exercise. Chef Steph: Are Eggs Bad For You? Good or Bad? Chef Steph talks about including eggs as a part of your diet. 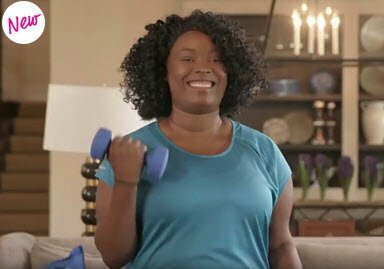 Stretch your shoulder and neck with the easy exercise in the grocery store. 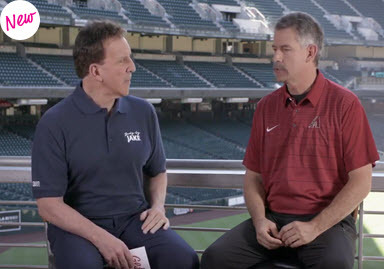 Ken Crenshaw of the Diamondbacks talks about how to avoid common injuries.